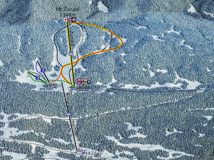 Distance from Mestia to Tetnuldi ski resort 15 km. Mestia – a mountain resort of Georgia with developing infrastructure. There are 2500 residents. Entire unique medieval architecture of Mestia is among UNESCO World Heritage. Distance to Mestia from the Georgian Airports: Tbilisi - 430 km (9 hours); Kutaisi - 240 km (5 hours); Batumi - 256 km (5 hours). 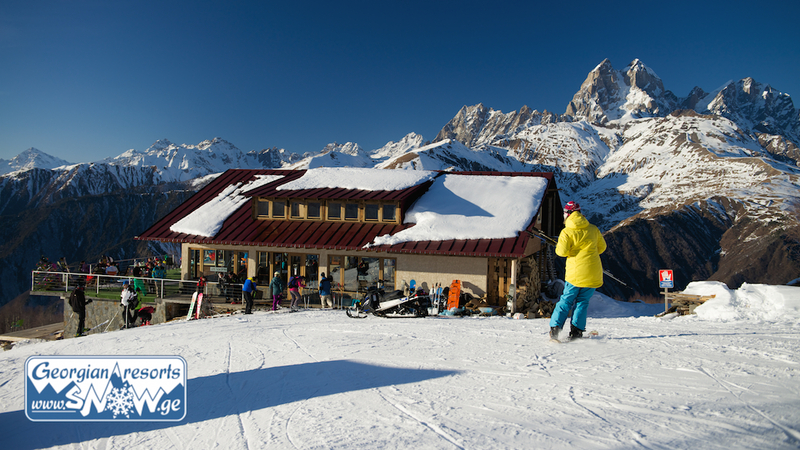 On the upper station of the ropeway (2347 m) in Khatsvali, there is a café-bar Zuruldi. After skiing restaurants of Mestia offer wide choice of dishes of traditional Svanetin cuisine. 6 restaurants operate in Mestia (most of them are at the hotels). In the hotel Tetnuldi bar-club operates. Skiing in Svaneti - a good excuse to not only get the pleasure of riding in Hatsvali and Tetnuldi, but also to learn the culture and traditions of one of the most amazing and authentic corners of Georgia. With full responsibility we can say that winter vacation in the Svaneti resorts - Mestia and Tetnuldi not leave indifferent any amateur winter vacation in a mountains. Welcome to the ski resorts in Svaneti - to live among the millennial Svan towers and ride with views of the most beautiful mountains of Georgia - Ushba and Tetnuldi. 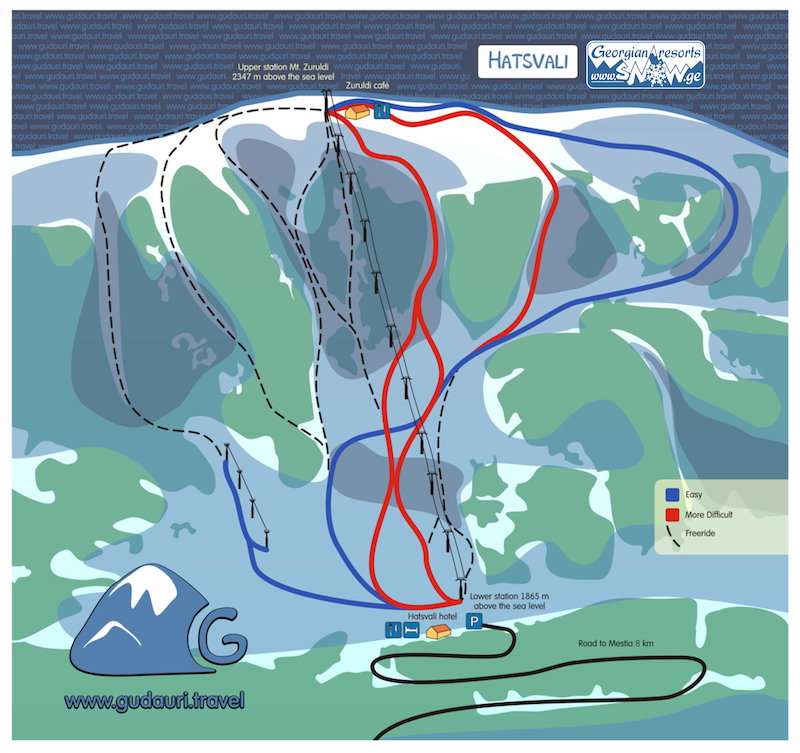 Ski Svaneti - a big mountain skiing. Discover the young and unique world-class resort. The resort Mestia (Hatsvali) opened in 2013, the resort Tetnuldi will open this winter. You will find what to tell and what to show to your friends after return from Svaneti - Be the first of your friends! Closeness to the highest peaks in Europe – mountains Ushba (4710 meters) and Shkhara (5068 meters). Inexpressible landscapes and coloring of local places, millenary Svanetin towers, hospitality of highlanders and Svanetin cuisine, maintained traditions and authenticity of the Region turn your trip to Mestia into the unique and unforgettable adventure. No queues at the lifts is conditioned by small capacity of Mestia hotels (maximum 320 persons may be accommodated simultaneously at the resort), and unlimited opportunities for ski-tour and splitboarding will impress experienced riders. To find room at the hotel “at arrival” is impossible – number of rooms of the Resort is limited. Freeride and off-piste in Mestia may be possible as along the runs under the lifts, so through the picturesque fir forest with cuttings and couloirs. 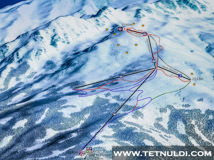 Living in Mestia you can visit the Tetnuldi Ski Resort located nearby. The time by car from Mestia to Hatsvali and Tetnuldi resorts almost the same - 20-30 minutes.